Last month, I wrote an article for Zester Daily about how Magnus Nilsson had inspired me to try a new deep-winter ingredient - decaying leaves from the forest floor. Infused into water, they taste slightly bitter in a good way, like tea, and smell like the forest after an autumn storm. For the story, I created a rolled trout served in a tea made from leaf litter, and was won over by the sensual taste of the the leaves. After that, I started thinking about how else I could use those brown leaves that were on the ground everywhere I looked. Enter my craving for Helliemae's salted caramel banana pudding. My buddy at Helliemae's makes caramels so good that they curl my toes with pleasure. Better yet, she makes banana pudding with a layer of her wondrous salted caramel on the bottom that is positively crave-inducing. If you get the chance, try the real thing, because Helliemae's has the voodoo. Unfortunately, my craving struck in the middle of the night, which is not the ideal time to go knocking on the door of the candy factory. I had to resort to making my own caramel. And never one to just leave a recipe alone, it occurred to me that sweet caramel might be the perfect place to add hints of rotting leaves. Through experimentation, I found that I preferred the way decaying leaves infused into water, rather than in cream. I settled upon using a method described in this recipe from the Smitten Kitchen for making caramel, which uses apple cider as a base. Of course, I took the recipe way off the rails, and used a melted sugar for it's true burnt sugar taste, instead of relying upon brown sugar for the caramel-y aspect of flavor. 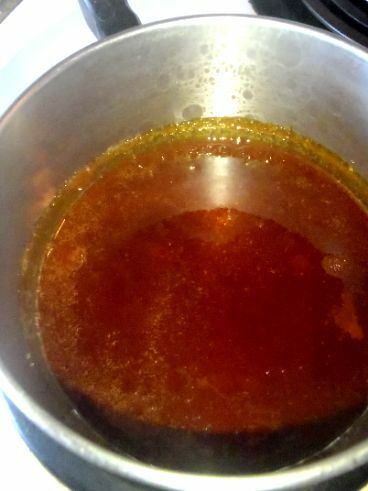 I'll be the first to tell you that this is a pretty goofy way to make caramel. But I tested it several times, and it works just fine. 1. 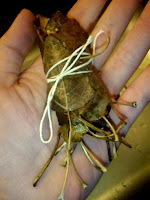 After washing them under running water, use a piece of kitchen twine to tie your leaves into a bundle. 2. Bring the apple cider to a low boil in a heavy-bottomed medium-sized pot. It will need quite a bit of time, between 30-45 minutes to reduce down to the desired syrupy consistency. 3. Add the bundle of leaves to the reducing apple cider. Let them boil in the cider for 10-15 minutes before fishing them out and discarding. If you leave them in there too long, the caramels will be too bitter. 4. While the apple cider is starting to reduce, start melting the sugar. 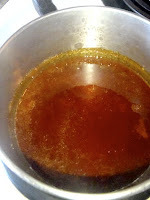 Pour the 1/2 c. of sugar into a small pan, turn your burner to medium, then just leave it be (no stirring) until all of the sugar has melted and turned the color of maple syrup. This is where the caramel flavor comes from. Be careful not to let the melted sugar heat for too long, because there is a danger that you can burn it. 5. Pour the liquid sugar into the boiling apple cider. Be very careful, as it will hiss and sputter. 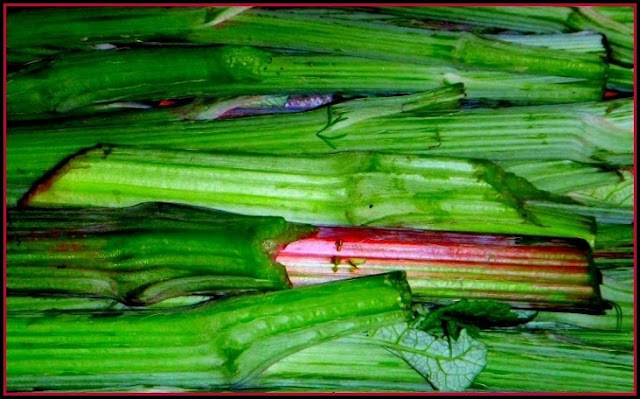 The sugar will seize and crystallize. But at this point, there is still enough water in the cider to melt it back into solution. Stir away here, and make sure all of the hardened sugar comes off the bottom of the pan and your spoon, and melts into the cider. 6. Continue to boil the cider until most of the water is gone, and it forms a thick syrup. There may be as little as a 1/2 c. remaining in the pan. You'll know when you've reached the right stage when the bubbles on the top of the syrup go from looking like those of boiling water to being bigger and more sticky in appearance. 7. Remove the reduced cider from the burner. Stir in the salt, butter, and cream until you've got an even, velvety mixture. 8. Before you go to the next step, fill a small bowl with cold water. This will be how you test whether your caramel has reached the stage you desire. 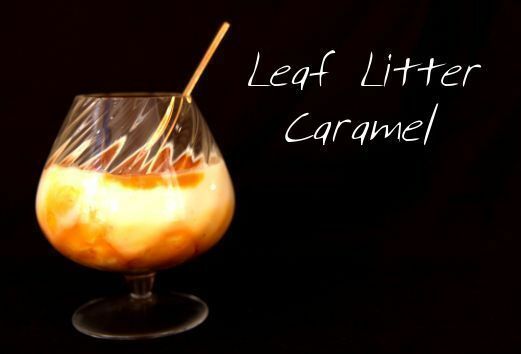 If you think you are close, drizzle a few drips of caramel into the bowl of cold water. If it solidifies to the consistency of a thick pudding, you've reached the correct stage for caramel sauce. If it sets up so that you can squeeze it into a taffy-like ball with your fingers, you've reached the correct stage for wrapped caramels. 9. Return the pan of caramel to medium heat. Continue to boil it, testing along the way, until you've reached the consistency you'd prefer. Every time you test, it is a good idea to pull the pan off the heat, because in the time it takes you to drizzle a bit into the bowl of cold water, the caramel can go from being the perfect stage to being burnt. 10. If you're making candies, pour the finished caramel into a buttered shallow pan, allow it to cool, cut it into pieces, and wrap them in waxed paper. If you're making caramel sauce, it keeps well in a mason jar in the fridge for a few weeks. But really, it won't last that long, especially if you drizzle it over ice cream, cheesecake, or banana pudding. *I've found that I enjoy the taste of linden and mulberry leaves, and that cottonwood and willow are far too bitter. Nilsson frequently mentions using birch leaves. If you'd like more ideas about which leaves to try, this chart might be of some help. You did what with the what????????????? Okay, this is something right out of noma (world-renowned restaurant in Copenhagen, where I once had the privilege of eating)! Very impressed. I enjoy your blog, even though I'm far from the Rockies myself these days. Just keep 'em coming...Cheers. What did you eat at Noma? I love it. This is so creative and cool. Very inspirational, B. Plus that link to the leaf chart is exactly what I needed. This is really pushing some boundaries. This is one of the craziest things I've ever seen... and I can't wait to try it, LOL. I think you might like it. It just makes for a very complex, nuanced caramel. Wow, just wow. How does your mind even go there? I will send you all the birch leaves you desire. I'll pass on the leaves, but if you find caga on those birch, feel free to send them this way! I am still trying to get my head around this one. So absolutely genius. It absolutely never occurred to me that the leaves on the forest floor could somehow become part of something I'd actually want to eat. Well done! 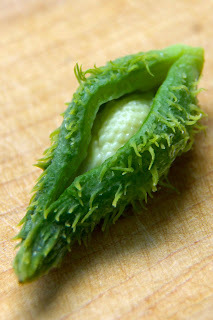 I'll need to try this - with birch leaves I think as they are the most abundant in this parts. Oooh, birch! Do you have chaga mushrooms? This is so strangely wonderful. If you'd like more ideas about which leaves to try, this chart might be of some help.